Island Shore Productions will create a memory that brings back "everything but the smell" of your special day! I hear it all the time...Brides who say, "It all went by so fast! It was one big blur. I can't even remember anything from the day". 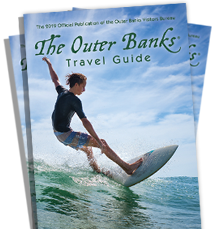 Photographs are great...and we have so many awesome photographers here on The Outer Banks! But only video will literally put you back in the actual moment. I say "everything but the smell" because with Island Shore Productions, you'll have a DVD memory that you can go back to and actually hear your voices, as well as loved ones, and see yourself as you speak your vows. Don't make the mistake of discounting the value of a high quality, professionally shot and edited video memory of your special day! We only use the best equipment (all shot in HD) and the same professional editing equipment they use in Hollywood. Tony Brittan is an Apple Certified Pro in Final Cut Pro (the editing software) which means Apple has actually certified his knowledge and ability. He knows the software inside and out and will bring you the highest quality end product. His background in broadcast and creative storytelling abilities are second to none. He has national as well as local television commercials and programs, that are currently running, to his credit. If you've spent as much time, money, and care putting together your wedding as you have, you owe it to yourself to be able to be a spectator and have it on DVD to watch for years to come! Whoever you choose to do video for your special day, please make sure to actually see some of their work and get to know them a little bit. It's important to know exactly what to expect, quality-wise, and to actually like the people doing your video because you want the best possible outcome!